Lisbon has been stealing the spotlight from other major European cities recently. 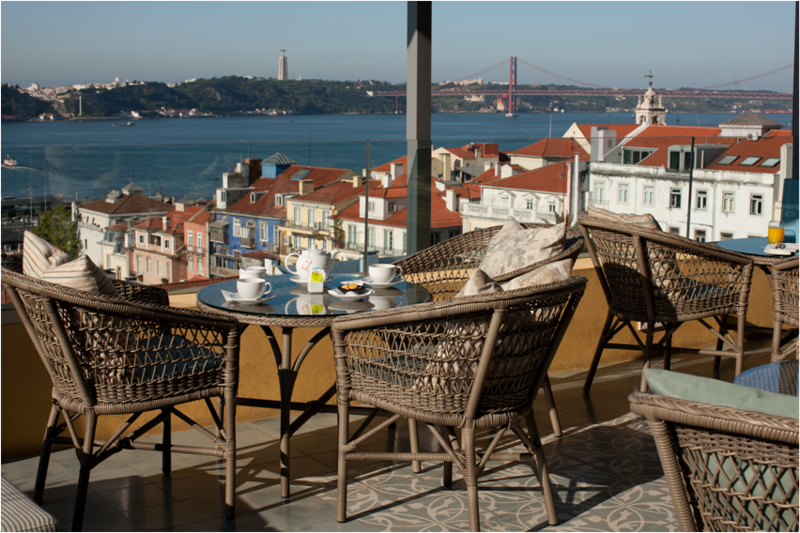 Everyone from poets to travelers have found its light inspiring, and with its seven color pointed hills by the river Tejo, the city’s rooftops have long called to visitors looking for a haven. 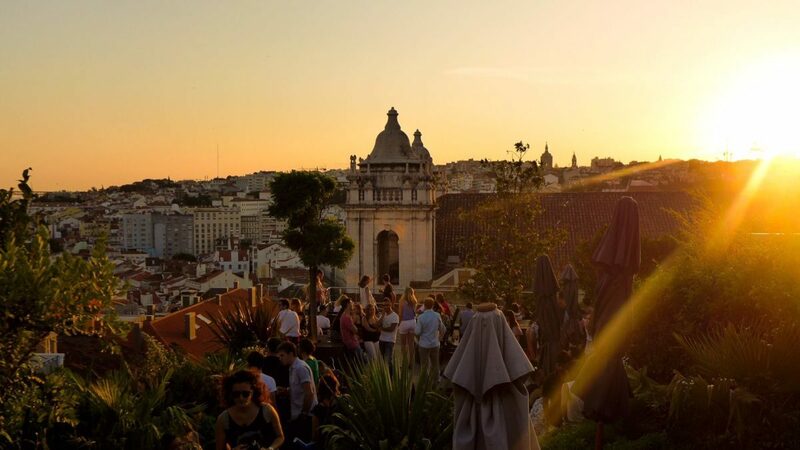 Lisboners know how to take full advantage of the prime locations in their city and surely will have many stories to tell of afternoons spent at a miradouro (rooftop/terrace). 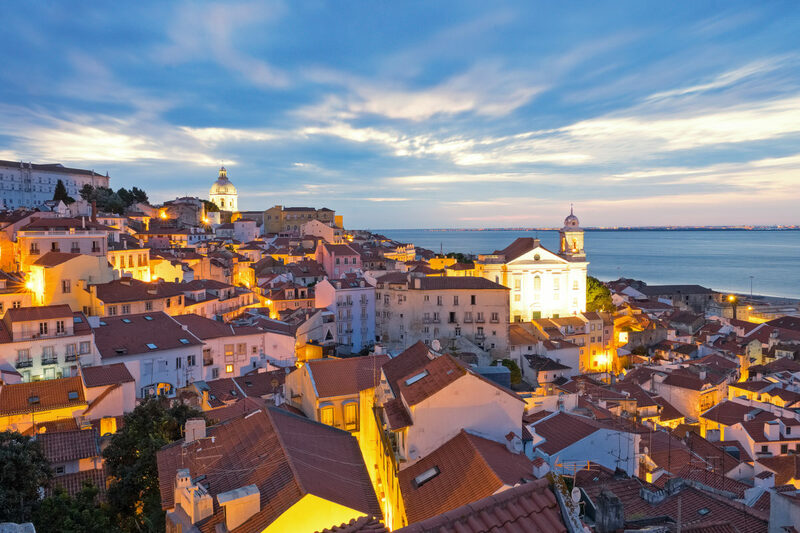 Most of the rooftops in Lisbon are best enjoyed at sunset when the city is covered in a golden glow and, in all its glory, displays its pastel colors bathed by the gleaming river waters. Life starts slowing down at cocktail hour, and live music and the smell of authentic Portuguese food fills the air. It’s time to sit down, relax, enjoying the unrivaled views of the city in one of these rooftops. Located in one of the city’s most multicultural neighborhoods, you need to enter an old shopping center and take the lift to the 6th floor to access it. That’s how you reach the conveniently named Topo (Portuguese for “top”). There’s an outside terrace, covered in light wood, overlooking an historical square and São Jorge Castle. Here you can choose from the long cocktail and petiscos (Portuguese tapas) lists, and get groovy with the live DJ. The space also has a restaurant surrounded by large windows, and with such an inviting menu, you might as well stay for dinner. 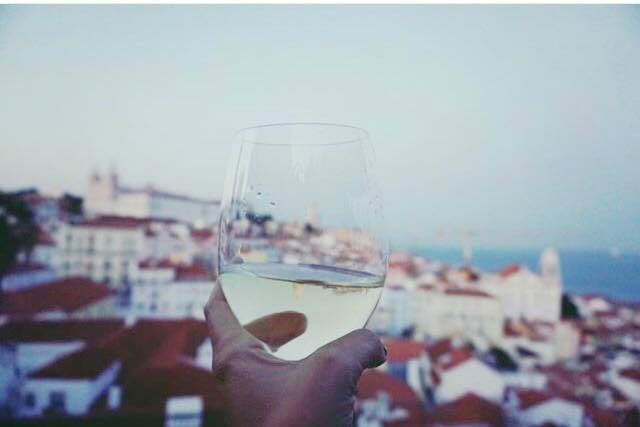 Boasting views of the oldest and most typical neighborhood, Alfama, this one is a classic among tourists. With sunset parties in the summer and affordable sparkling wine sangria, there’s no question why this spot gets crowded during high season. And because food is a big part of Portuguese culture there’s also a small dish menu to share with friends over some laughs overlooking the maze of terracotta roof tiles. Probably the most romantic of all Lisbon’s rooftops. 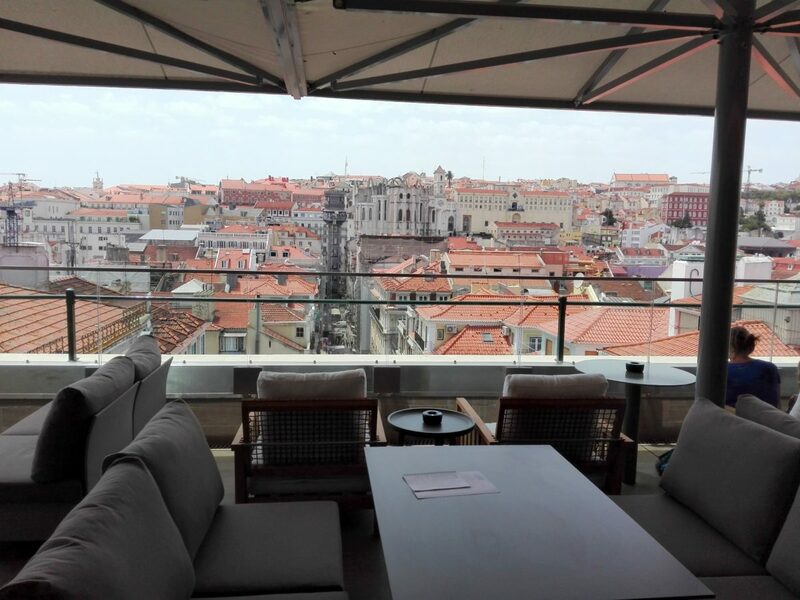 Sitting on one of the most charming buildings in Lisbon, in the five-star Bairro Alto Hotel, it could only boast five-star views. Gaze over the descending roofs to the glistening river. Start your day by having a late breakfast with a choice of rustic bread and regional cheeses at the award-winning terrace, while watching the ferries gliding through the water. It would come as no surprise that you don’t feel like leaving this refuge just yet. If that’s the case, just head downstairs and book a room in the reception. 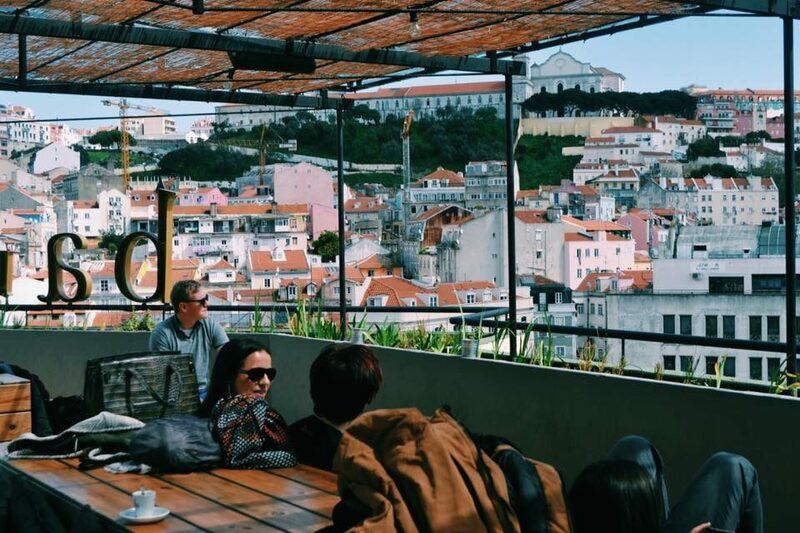 The trendiest quarter in Lisbon calls for the trendiest of rooftops. Rio Maravilha, in LX Factory quarter of restaurants and independent shops, overlooks river Tejo. On the 4th floor of a former break room of factory workers, the decor is fun and full of character, keeping the industrial foundations while paying tribute to both the river Tejo and the Brazilian city of Rio de Janeiro. The tables have multimedia projections, and they also have live music. The cocktails and dishes blend Portuguese and Brazilian influences. If you thought a parking lot could never be a city hotspot, this one will prove you wrong. This elevated garden terrace sits on the highest level of a car park, in the heart of the city. Wooden patio furniture and plants fill the place setting the mood for a relaxed summer sunset. The terrace is also a night-out favorite as its weekly program is full-on, hosting eclectic music events from Hip Hop and Jazz, to RnB and House music. Put on your dancing shoes as you’re sure to show off some dance moves. A recent addition to the rooftop landscape in Lisbon. SUD is more than a terrace, it’s an all-in-one experience in the riverbank. The space is inspired by a typical Southern European retreat, with airy interiors, light wood and white lounges. It’s divided into two spaces, the Terraza and the Hall. The first offers a restaurant, a pool and two bars whereas the latter hosts events. Its concept conquered the art of doing nothing, sunbathing by the pool during the day and hopping to one of the bars at night, you can spend your entire day here. A high-end terrace where the dress code can include flip flops. Founded over 80 years ago, it’s an old classic and well known by locals. Pollux is a home decoration shop and, by a stroke of fortune, the 8th floor of its head-office happens to have a breathtaking view over the city. Until recently its rooftop only had a small cafeteria and it was a well-kept secret. But it has now been refurbished by the famous Portuguese chef Miguel Castro e Silva to live to its full potential. 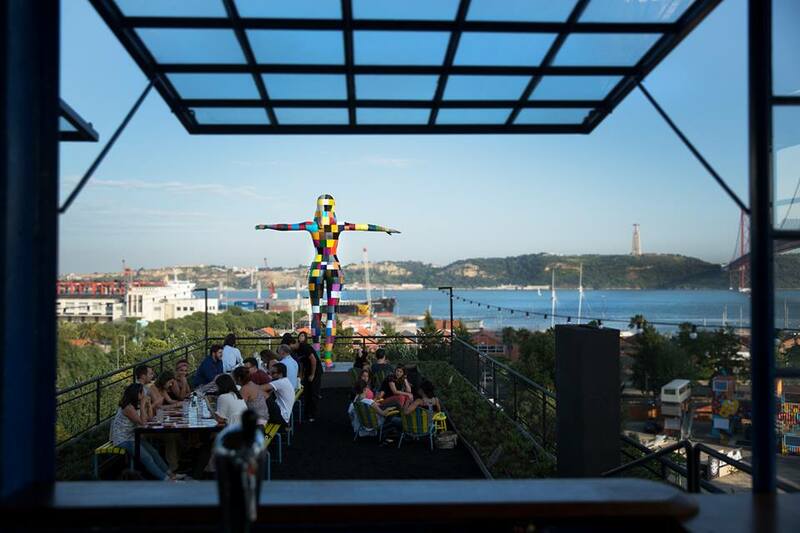 Offering exclusive dishes and a not less exclusive view, it’s now the new ideal place for a meal out in Lisbon. 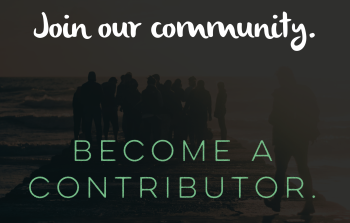 About the author: Sara Ramalho is a translator and freelance writer whose work has appeared in Condé Nast Traveller Middle East and elsewhere. Born and raised in Portugal, she’s a lover of all things literary and travel.